SheJumps is teaming up with Mt. 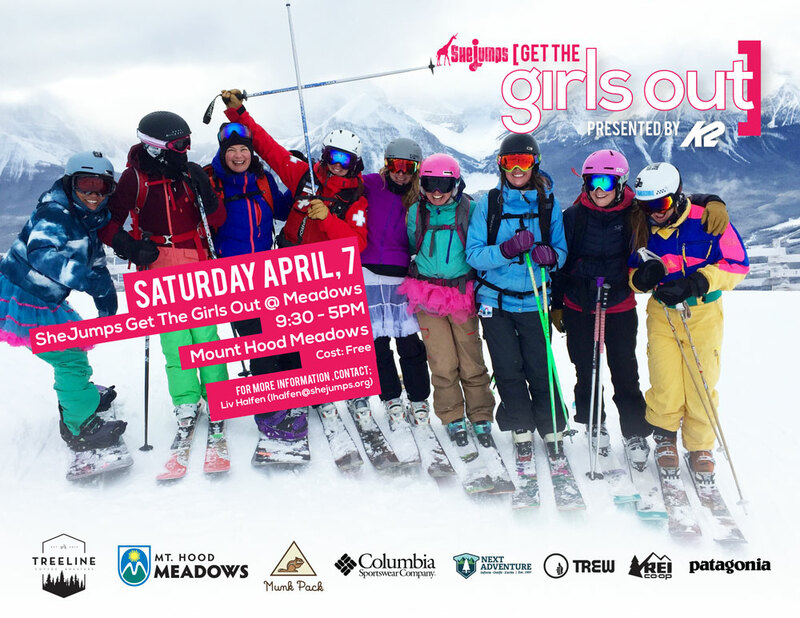 Hood Meadows to present their flagship Get the Girls Out (GTGO) event. SheJumps aims to provide a fun, encouraging environment for women to learn and advance their skills in outdoor sports. At this day-long GTGO, participants will get the chance to partake in lessons, learn more about avalanche safety, meet some of the avy dogs and most importantly, get the chance to meet other fellow skiers and riders. 3pm - 5pm - Apres party ( location TBD) for a raffle! Mt. Hood Meadows discounted pricing! To reserve a spot for lessons, please do email [email protected] by Monday, April 1st.